China Lucky Industrial Rubber Factory is a manufacturer of Rubber o ring, silicon o ring, PTFE o ring, Teflon o ring, Nitrile/NBR/EPDM/VITON o ring, Rubber ring, O ring seal, Rubber seal, Silicon tube, Plastic balls, Hollow plastic ball, plastic hollow ball, Plastic float ball, Rubber balls. We have attained ISO9001:8000 quality management system, and have been in strict accordance with the implementation of the quality system. Thanks to scientific production, advanced testing equipment, strong technical capabilities, flexible operation mechanisms, strong product development ability, speedy delivery time, and stable quality products, we can fully comply with the relevant national technical standards. Our company continues to introduce internationally advanced equipment and technology, improving product quality, creating more glorious tomorrow together. Rubber o ring, Plastic ball, Rubber ball, Rubber ring, O ring seal, Plastic hollow ball, Plastic float ball applied to different industries such as automotive, telecommunication, medical equipment, Audio, video equipment, electrical toys, astronautics, drugs manufacture, satellite, valve, pump, bathroom, electron, electric appliance, bearing, and medical industries. Product authentication: USA NSF/FDA, German DVG/KTW, UK WRAS. China LUCKY Rubber thanks you for visiting our website and looks forward to serving you. Welcome you to visit our website: http://www.rubber-ring-ball.com, E-mail: stevem@163.com. O-ring, Rubber O ring, Seal rings main type: America O-RING KIT, Europe O-RING KIT, Japan O-RING KIT. VITON O-ring, Silicone O-ring, Nitrile O-ring, EPDM O-ring, HNBR O-ring, CR O-ring, NBR Rubber o ring, Nitrile Rubber o ring, NR Rubber o ring, CR Neoprene Rubber o ring, SBR Rubber o ring, EPDM Rubber o ring, HNBR Rubber o ring, SILICONE Rubber o ring, VITON Rubber o ring, NBR Seal ring, Nitrile Seal ring, NR Seal ring, CR Neoprene Seal ring, BUNA Seal ring, EPDM Seal ring, HNBR Seal ring, SILICONE Seal ring, VITON Seal ring, FLS Seal rings. O-ring, Rubber o ring, Seal ring characteristic: Bears the high temperature, has extremely good bears the climate, bears the ozone and bears the chemical properties, bears the petroleum. O-ring, Rubber o ring, Seal ring authentication: USA NSF/FDA, German DVG KTW, UK WRAS. VITON o ring main type: FKM VITON O ring, VITON o rings, AS568 VITON o ring. Silicone o ring main type: Silicone o rings, Seal Silicone o ring, Rubber silicone o ring, SI-silicone o ring. NBR o ring main type: Rubber NBR o ring, Nitrile NBR o ring. VITON o ring, Silicone o ring, NBR o ring uses in astronautics, the automobile, the medical service, the drugs manufacture, the satellite, the valve, pump, the bathroom, the electron, the electric appliance, and so on industry. 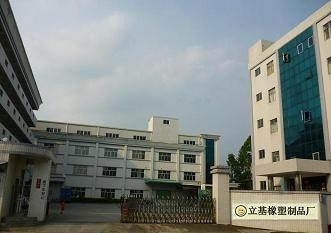 We export VITON o ring, Silicone o ring, NBR o ring. We supply OEM service of VITON o ring, Silicone o ring, NBR o ring for you. Rubber ball main type: NBR rubber ball, Nitrile rubber ball, NR rubber ball, CR rubber ball, BUNA rubber ball, SBR rubber ball, EPDM rubber ball, HNBR rubber ball, SILICONE rubber ball, VITON rubber ball. The Rubber ball uses in astronautics, the automobile, the medical service, the drugs manufacture, the satellite, the valve, pump, the bathroom, the electron, the electric appliance, and so on industry. Plastic ball main type: round plastic ball, plastic ball pen, Precision Plastic ball, Delrin ball, Acrylic ball, Polypropylene ball, POM Plastics ball, PP Plastics ball, PA Plastics ball. Plastics ball, plastic balls main type: Teflon plastics ball, PTFE plastics ball, TPE plastics ball, TPR plastics ball, TPU plastic balls, TPV plastic balls, SBS plastic balls, Thermoplastic plastic balls. Rubber seal, rubber seals gaskets, rubber seals, rubber seal ring, rubber seal gasket, seal rubber, VITON seal, o rubber seals, silicone rubber seal, door rubber seal, EPDM Rubber seal main type: NBR rubber seal, rubber sealing rubber seal, rubber gasket rubber seal, silicone rubber seal, gasket o rubber seal, automotive o rubber seals, hydraulic EPDM Rubber seal, pneumatic seal rubber seal. The precise Rubber seal, o rubber seals, EPDM Rubber seal surface is smooth, none the needle eye, none the fragments, the precision achieves +/-0.03 to +/-0.08mm. Rubber Seals come in a variety of specially designed shapes made from custom formulated EPDM sponge rubber compound. USA Plastic ball, Britain Rubber ball, UK O ring, Russia Rubber o ring, Canada Seal ring, France o ring seal, Germany VITON o ring, Italy Float ball, Australia floating ball, Brazil Plastic float ball, Japan Hollow ball, Korea Hollow sphere, Kuwait hollow plastic ball, Mexico Plastic ball, Nigeria Rubber ball, Norway O ring, Pakistan Rubber o ring, Poland Seal ring, Singapore o ring seal, Spain VITON o ring, Sweden Float ball, Switzerland floating ball, Turkey Plastic float ball, Bangladesh Hollow ball, Egypt Hollow sphere, Finland hollow plastic ball, Hungary Plastic ball, India Rubber ball, Taiwan O ring, Hong Kong Rubber o ring, China O-ring Manufacturers, China plastic ball Suppliers, China Rubber ball products, China hollow plastic ball, Rubber ball Exporters, China o-rings Trade, Israel Hollow Plastic Float Balls, Ukraine Hollow Plastic Float Balls. O Ring, Rubber ball, Plastic ball, Rubber o ring, Hollow plastic ball, Plastic Float Ball, o ring Seal, CR Rubber ball, PA Plastic ball, VITON o ring Manufacturers.